Aynho is lucky enough to have a great sports and recreation facility in the form of the 7-acre sports field and Pavilion. The Pavilion was built in 1980 and opened by legendary cricketer Dennis Compton. The Sports Field is accessed by vehicle from the Charlton Road and by foot from two entrances in Portway one of which is a disabled entrance. The field is currently the home pitch for two football teams from Brackley Town’s Academy, the Under 13s and Under 14s, who play on alternate Saturdays (Kick-off 10.30) from Sep to Apr and Evenley Men’s 3rd 11 Cricket team who play over the summer. As well as the grass pitches, there is a hard tennis/basketball court and a 580m amenity track used for walking, running and cycling throughout the year. The Pavilion houses two changing rooms with showers and toilets on either side of a committee room with a kitchen and disabled toilet. The left hand changing room with its toilet can be accessed at all times by using the key in the key safe by the door. The code is the same as the gate code. There is a bookshelf on the veranda where we operate an informal book exchange. Please feel free to borrow and return, or replace with one of your favourites. Various bands hire the facilities a couple of evenings a week and the space can also be booked for parties and functions. A marquee is available for hire to complement this. Fund raising for the maintenance of the facilities comes from the monthly Park Club Draw which is £12 collected annually in January. 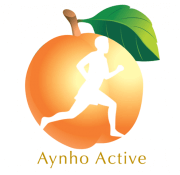 If you’d like to start a group, or get involved in Aynho Active, we’d love to hear from you. One of the biggest annual events in the village is the Quiz and Curry Night which fundraises for us. We’re always keen to hear from those willing to raise money for individual projects. We also have a number of options where you can informally contribute to this space and therefore the village. For more information or to hire the Sports Pavilion or join the Park Club Draw or share your views, please contact Rachel Moroney (07801 673354) or Valery Taylor (07982 741968) or email active@aynho.org. Facilities are free to use (with the exception of the Pavilion Middle Room) on ad hoc first come first serve basis. Where fees are paid – use by non-Village Organisations and non-residents will be at a higher rate to reflect the individuals have not contributed via either the Precept or Aynho Park Club Draw in contributing to the maintenance of the facilities. Pavilion (Middle Room) will always incur a fee unless an exception is made by the Parish Council. Tennis Court – No fees for casual use. If the court is being used and new players also arrive wanting to play the parties should agree a change over time – which should not be more than 30 minutes later. If used to provide tuition, then exclusive use is required and thus payment of a fee. Registered Charities, Aynho Church and Local School organised events pay £50% of the published fees if booked for a fundraising event. The ‘Health Walk’ to pay a 50% fee for use of the Pavilion Middle Room – £5 per session. Please note, you will need to clean up the pavilion after your event, but we can put you in touch with a local cleaner who you can hire directly to clean the pavilion if you prefer. £50 for hire of marquee – hirer to assemble and take down. Sports Field & Pavilion Enquiries? If you're interested in knowing more about dates available, costs and whether you can host your own events, meetings or groups at Aynho Active get in-touch. Click here to email Rachel and Valery. Tea, coffee and homemade cakes on sale at the pavilion Sunday 12th March 2 – 4pm. Stay in touch with everything that's happening in Aynho, latest community news, important announcements, Neighbourhood Watch 'Alerts' and the Aynho Newsletter by subscribing below. Stay updated with everything that's going in Aynho by following us on social media. Use of this web site implies acceptance of our Terms and Conditions of Use and Privacy and Copyright Statements (click HERE to access). To contact Aynho Parish Council please email the clerk (Click Here).